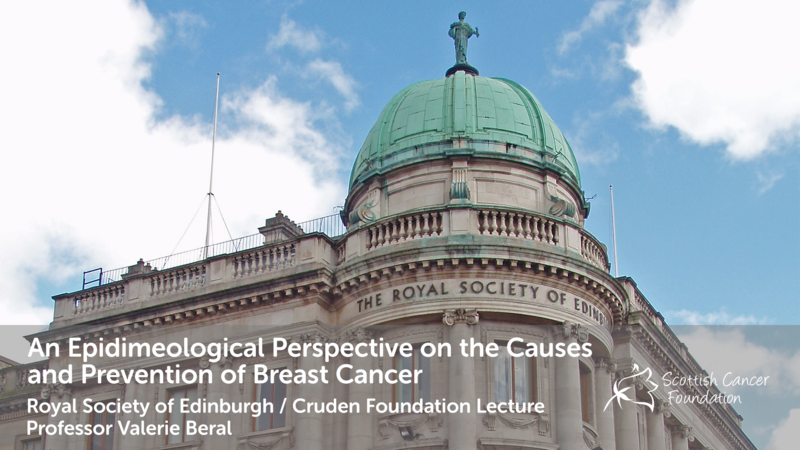 Our 2010 Royal Society of Edinburgh and Cruden Foundation lecture will feature Professor Valerie Beral, Head of Cancer Epidemiology Unit, University of Oxford. believed to underlie the lifelong protection that childbearing confers against breast cancer, but we do not know exactly which changes are relevant. We need to know, since if we could mimic pregnancy by relatively short-term exposures to the appropriate hormones during early adult life, this should lead to lifelong protection against breast cancer.